Twice Dead has a fascinating premise that it ultimately fails to live up to. There are some issues around consent with this book. Naya is raised against her will, which is already not great, though I was willing to go along with it as part of the story. However, Naya is also a young woman of colour. Having been turned into a wraith without her permission, she’s then basically coerced into being a spy. Her cover is as an indentured servant to a necromancer. This seems remarkably tone deaf to issues of race. I may have perhaps forgiven it if the story had dug into these issues. Instead, it is presented as mere window dressing for a story about politics and romance. It didn’t help that I also wasn’t fond of the main character. Naya is naive and bigoted. Even when this is shown to her, she is slow to let go of her assumptions, instead clinging to loyalty towards people she has little reason to trust. She second-guesses the more experienced characters trying to help her, even though she’s an utter beginner. There’s plenty of angst here for those that enjoy it. The romance is weak. The romantic interest was two-dimensional and I found it difficult to understand what he saw in Naya. There were some sweet moments between them, but it just wasn’t enough to pull it together for me. The worldbuilding was the most interesting part of the book. The story presented a balanced view of necromancy, showing how it could be a positive force while also highlighting how it could be misused. I also enjoyed seeing how Naya came to terms with no longer being human and the full extent of what that means. This was used to particularly good effect in the last quarter of the book, making for some wonderfully dramatic scenes. The pacing was a bit uneven. The beginning contains a number of flashbacks, which slow things down. It gets particularly slow around two-thirds of the way through, where the main characters are basically sitting around waiting for news. However, as mentioned, things pick up in the last quarter of the book, coming to an action-packed ending. The figure chosen for the final confrontation was an interesting one, if a little unexpected, but ultimately fitting. 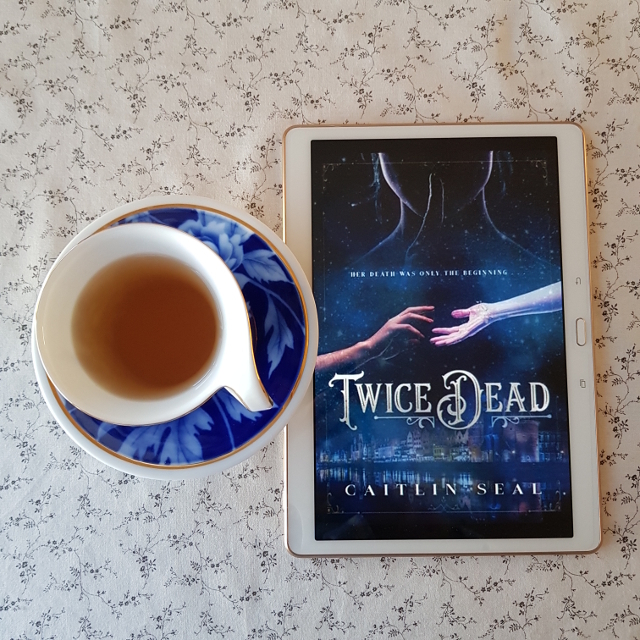 All in all, Twice Dead wasn’t really my cup of tea. For interesting depictions of necromancy, I’d instead recommend Sabriel by Garth Nix.